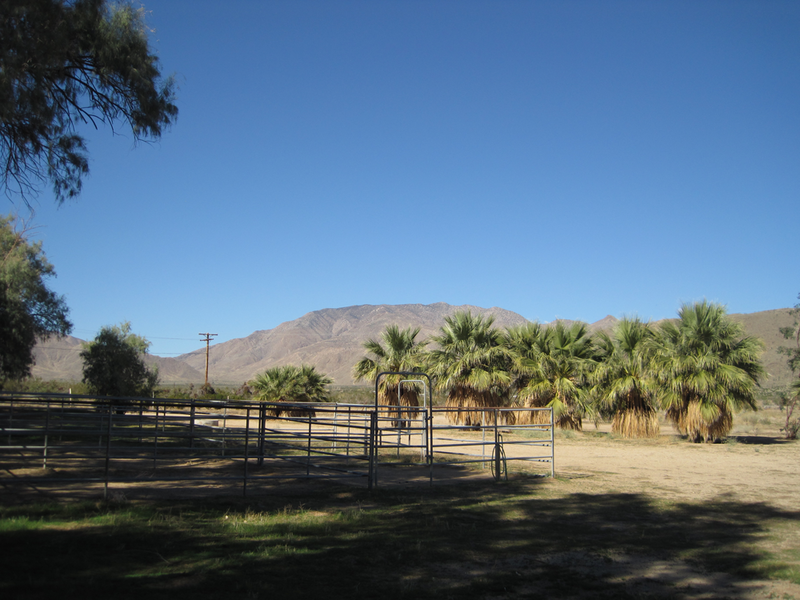 Length of Trail: Butterfield Ranch Resort borders the Anza Borrego Desert State Park with access to miles of trails. The trails out of Butterfield are mostly shorter trails of about one hour in length. However, from Butterfield, it is a short drive to other, longer trails from other staging areas. 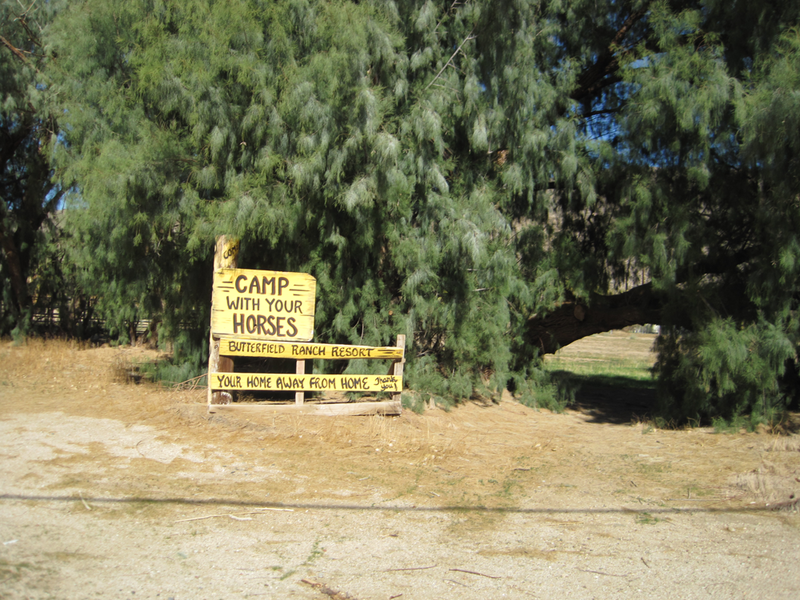 Equestrian Camp Ground: There are horse corrals across the road from the main facility. You can camp close to the horses. Alternatively, there are full campsite hookups in the main facility. There is access to water. Trail Conditions: There is a trail map in the office. The trail conditions are good, with sandy footing. General Campsite Info: Check out the website. This is a well established campground. 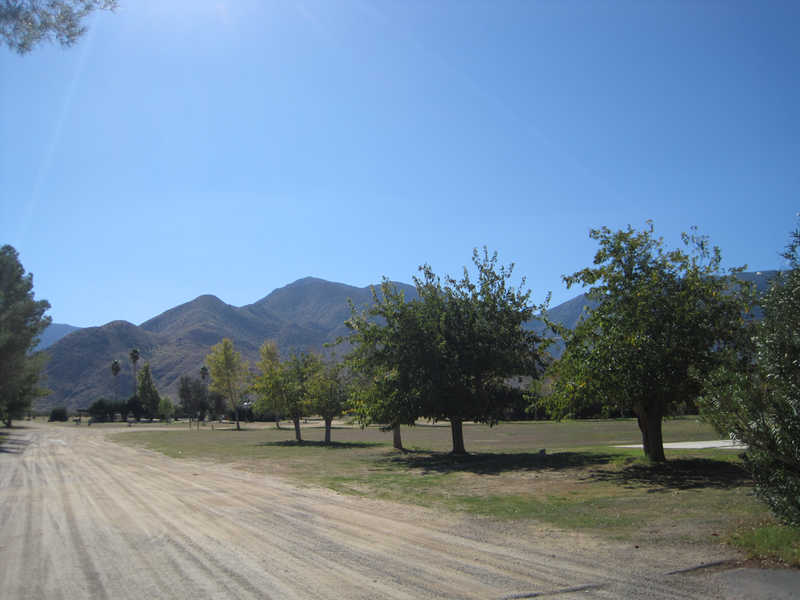 Butterfield Ranch offers pull-thru RV sites with plenty of tent camping. There are also full RV hook-ups and mobile home spaces. You can also rent mobile homes and cedar cabins instead of camping. It is open year round. On site are two large clubhouses each equipped with a fireplace, large screen TV and pool table. There are showers and clean restrooms. 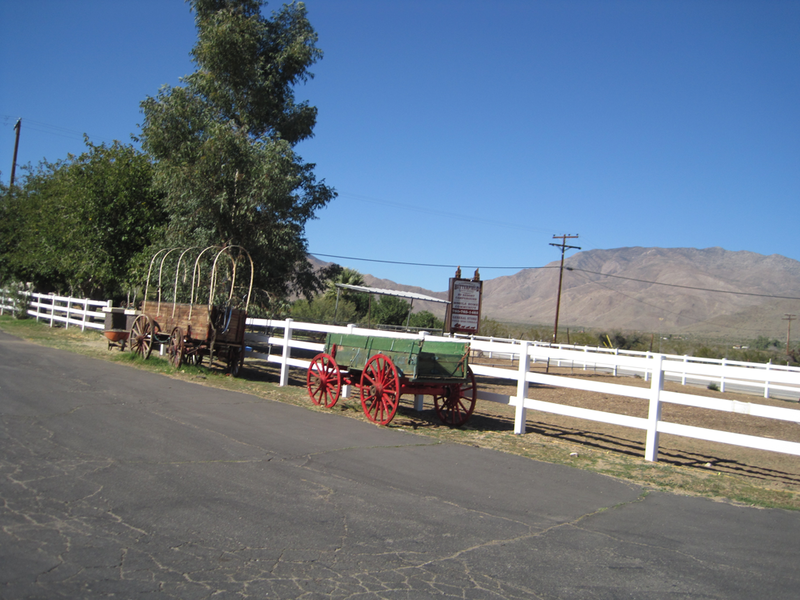 There are laundry facilities, Wi-Fi, a general store, and a clubhouse. Activities include a volleyball court, horseshoe pit, three large pools and spas. You can make reservations online.